A mother and three children were found murdered in this home on March 1. No one has been charged with the crime. 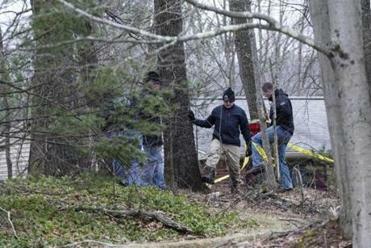 A relative of the mother and three children who were found murdered in their Central Massachusetts home in March has been indicted on charges that he misled investigators looking into the deaths. A grand jury on Thursday indicted Mathew Locke, 31, on four counts of lying to investigators, court records show. Locke, who lives in Ware, is the cousin of Moses Bermudez, 44, the West Brookfield man whose wife and young children were found stabbed and burned on March 1 in a bedroom at their home on Old Warren Road. Investigators have said Sara Bermudez, 38, and her children, 8-year-old Madison, 6-year-old James, and 2-year-old Michael, were killed, though no one has been charged with causing their deaths. Moses Bermudez, who works as a longshoreman in Los Angeles, was in California at the time of the attack, his sister has said. Locke has been held on $10,000 bail since the end of March when authorities said he fabricated a story about Moses Bermudez blaming the violent street gang MS-13 for killing his family. The indictments filed Thursday in Worcester Superior Court accuse Locke of lying to police about the “nature and extent” of his relationship with Sara Bermudez and misstating the last time he visited the Bermudez household prior to March 20. The indictments also allege Locke “misstated a material fact regarding his denial of drug use” and lied about MS-13. The documents say Locke provided the faulty information to investigators on March 20, don’t provide further details about the alleged misstatements. A date hasn’t been set for Locke’s arraignment, the district attorney’s office said. His defense attorney didn’t immediately return a message seeking comment on Friday. According to a police report filed in court shortly after Locke’s arrest, investigators said they interviewed him on March 23. During the encounter, Locke said he had recently visited the Bermudez household with an associate, Joshua Gagnon. Locke said Moses Bermudez was sitting in a truck in the driveway. The following day, detectives interviewed Moses Bermudez at his home. He told them he hadn’t seen Locke since his family was killed and denied linking MS-13 to the murders, the report said. 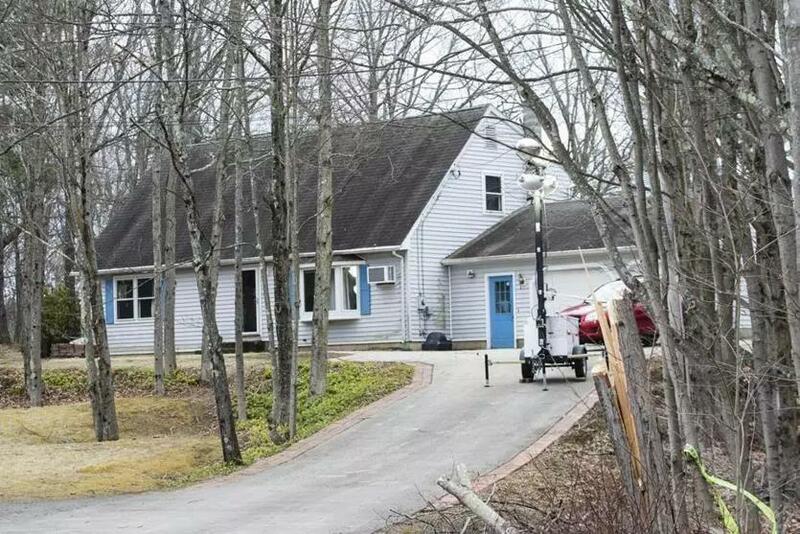 On March 25, investigators spoke with Gagnon at his home. He said he had been to Moses Bermudez’s home with Locke in the past two weeks. Bermudez, however, didn’t mention MS-13 or discuss having people killed, Gagnon said, according to the report. In an interview with the Globe in April, Locke’s mother, Marla Lyons, said her son had not lied. He had heard the talk about MS-13 from Moses Bermudez, she said. Investigators have focused unfairly on Locke, Lyons said, because of his lengthy criminal record.